Do you ever make something that is so simple and so flavorful and you become obsessed with it? 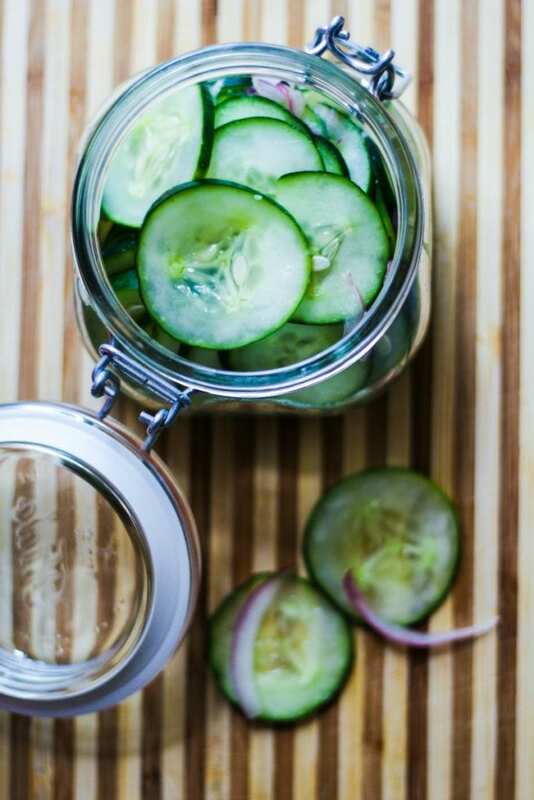 That’s what happened with these easy pickled cucumbers! They’re so easy to make and you will be craving them as much as we do! The intense summer heat is upon us here in Florida and sometimes it’s not easy to think of what to make. I know, everyone says you should just turn on the grill and make something outside. Seriously?!? Outside??? It’s scorching hot and then there are the massive amount of mosquitoes to deal with. I’m not sure if it’s just me, but mosquitoes just love me! I heard from my grandmother-in-law in Calabria this summer that mosquitoes totally avoid her and my mother-in-law has the same luck! Last May when they were visiting us for a month, she would even sleep outside on the patio and they wouldn’t touch her. In the evening…when the mosquitoes are the worse around here…not even ONE bite! Well, she wasn’t outside with the intention of taking a nap. She would actually be outside to do the rosary. I admired her dedication to stick to her prayer plan even while away from home. She would take her rosary and go sit outside in the quiet and pray away and the mosquitoes would leave her be. Lucky her! But back to what to make on hot summer days. 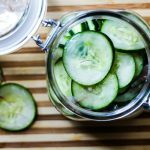 I could really eat a big plate of salad with a huge portion of these cucumbers and be totally content for lunch or for dinner. If someone would grill me a piece of chicken or fish, it would be the perfect summer dinner!! 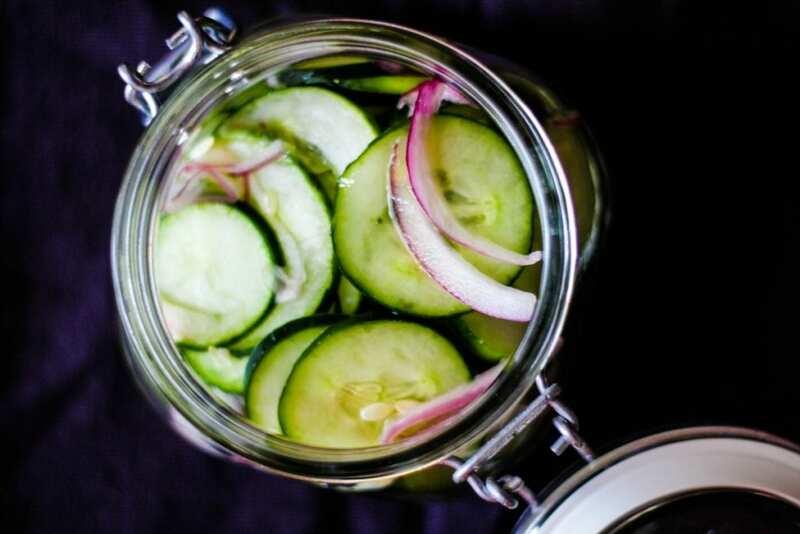 A super Easy Pickled Cucumber Salad recipe. There perfect side dish to enjoy all summer long. 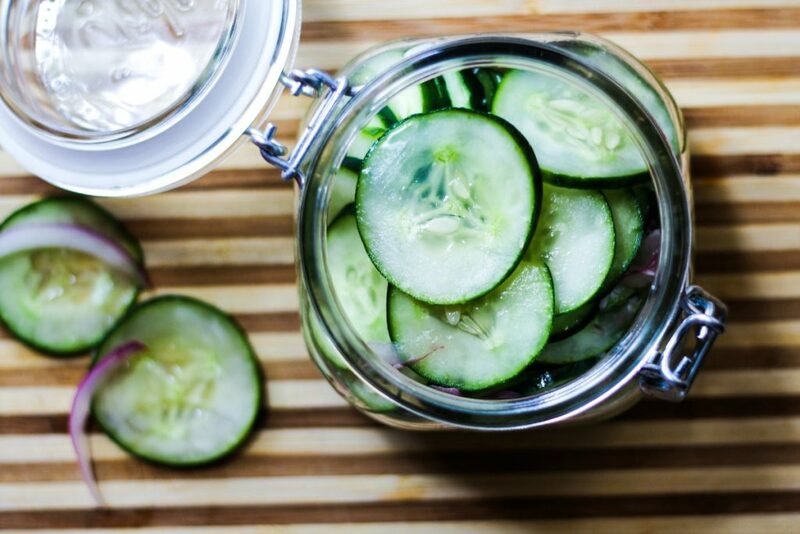 Prepare cucumbers by peeling and slicing them very thin. Thinly slice the onions. Add them to the cucumbers and sprinkle on the salt and sugar, and the vinegar. Mix well and let rest in the refrigerator for about 20 minutes before serving. You may want to drain off any excessive juices that accumulate before serving as well, depending on how long they sit before serving. If making the night before, just store in the refrigerator and then drain before serving (I happen to like the excess liquid it makes). The salad will be fine in the refrigerator for about one week.